Why protect your pets and livestock? 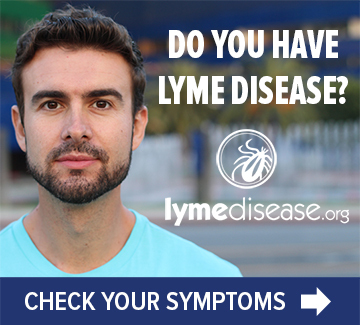 May is Lyme & Tick-Borne Disease Awareness Month! COTBDAA thanks Governor John Hickenlooper for his proclamations recognizing and supporting Lyme & Other Tick-Borne Diseases Awareness in Colorado in 2017 & 2018! Why Should Coloradans be Aware of Ticks? Just one bite can change a life! Colorado is home to nearly 30 species of ticks, some capable of transmitting diseases that can cause illness in people, pets and wildlife. Travel to regions where tick prevalence and disease may be even greater exposes Colorado travelers to additional risks that they may not be aware of. Regardless of where or how exposure to ticks may occur, Coloradans need access to accurate information regarding risk, prevention, potential disease, testing, diagnosis and treatment within Colorado and throughout the US. Though not every tick bite may transmit disease, prevention measures should always be taken and every tick bite should be treated properly. Tick-borne diseases are a growing risk to human health globally. New species of bacteria, viruses and protozoa are being discovered or introduced to the US, with 7 new germs transmittable by ticks identified since 2004. Tick species are expanding in both range and prevalence, with Lyme disease being the most prevalent vector-borne disease in the US! A 2018 report published by the CDC show that vector borne diseases have tripled between 2004 and 2016, disease cases from ticks alone have doubled. Surveillance of tick-borne diseases in Colorado is minimal in regard to human health, only 7 of the approximately 20 known diseases are reportable in Colorado, with Colorado tick fever being among the most prevalent. Companion Animal Parasite Council data has also reported an upward trend of 3 serious infections (Lyme, Anaplasmosis and Ehrlichiosis) in dogs in Colorado since 2012. Colorado is a state where many residents both work and recreate in the outdoors. The vast beauty and bountiful outdoor experiences offered in Colorado are enjoyed by locals and brings many visitors to our state. The result is that more people work, live and play in closer proximity to wildlife and their habitats, which increases exposure to ticks and potential disease. COTBDAA provides Coloradans and visitors information they need about ticks and the diseases they carry, how to prevent tick exposure, how to properly manage a tick bite, recognize infection, and how to advocate for proper care. We also provide support and resources for those who are already affected by tick-borne diseases, including the devastating effects of late stage, persistent or chronic Lyme disease and others. Risk for human, pet and wildlife exposure to ticks and the diseases that they may transmit is continuing to increase. Biodiversity and species composition, habitats, climate, terrain, precipitation and elevation are diverse in Colorado. Changes in ecological components as well as human expansion, through development of rural or forested areas and outdoor recreation pursuits, puts humans and their pets in closer proximity to wildlife and increases exposure potential to ticks and tick-borne diseases. Diversity of these ecological components and changes in these systems affecting wildlife likely contributes to the highly variable geographic incidence of species occurrence, prevalence and infection rates throughout the United States and worldwide. Wildlife, including birds, squirrels, rabbits, mice and other small mammals common near many of our homes in Colorado are competent reservoir hosts of many of these diseases. Migratory birds are efficient transporters of ticks, able to travel long distances in short time periods from one region to another. Transport of livestock or pets and migration of other wildlife species may also increase distribution of ticks, which increases the risk of tick encounters on ranches, farms and into our parks, backyards, and homes. We have been asked several times… “Why talk about Lyme disease in Colorado?” Our answer is that Lyme disease is the most commonly reported vector-borne disease found throughout the US and it is impacting increasing numbers of people, including Coloradans and their pets each year! Lyme disease has been documented in an increasing number of dogs in Colorado since 2012 as tracked by the Companion Animal Parasite Council. Though blacklegged ticks (Ixodes scapularis and Ixodes pacificus), which are the primary vectors for transmitting this disease, are not known to be endemic to Colorado, I. scapularis has been recorded in Colorado from canine pets for decades, the most recent documentation from dogs with travel history from Arkansas and Indiana in Fall 2017. The tick collected from the dog with travel from Indiana tested positive for Lyme disease (B. burgdorferi) through laboratory testing conducted by Dr. Heather Szerlong at Ticknology. In addition, a bacteria, Borrelia bissettii (Type Strain DN127), which can be pathogenic and responsible for causing Lyme-like disease in humans has been documented in our Colorado wildlife and other competent tick vectors. Ixodes spinipalpis, and Ixodes angustus have been considered “occasional” human biters, however the significance to human health is yet to be determined. A recent report ( Xu et al. 2018) describes the potential risk of conventionally recognized “nonhuman” feeders to human health. In addition, through collaboration with Dr. Heather Szerlong, the Colorado Wild Rabbit Foundation and Canadian researcher, John Scott, we have have found a potentially novel strain of Borrelia burgdorferii s.l. in an Ixodes spinipalpis tick collected from a Colorado rabbit. It is our responsibility to share information about diseases that Coloradans or their pets may encounter within Colorado or through their travels nationwide and globally. Lyme can be debilitating or deadly if not quickly recognized and adequately treated. There are many people in Colorado struggling with the debilitating effects of this potentially chronic disease and support group memberships continue to grow. Lyme has no borders, it has been reported in all 50 states and Colorado has a shortage of medical care providers experienced in recognizing and treating Lyme and other tick-borne infections. Initial presentation may consist of vague or flu-like symptoms, easily misdiagnosed especially in the absence of a rash. Too many residents, many of them children, are struggling with access to timely, accurate diagnosis and adequate and affordable care. Increasing awareness and education about Lyme and other tick-borne diseases is critical! In May 2017, Contagion®, the nation’s leading digital and print publication that provides practitioners and specialists working in the infectious disease field with disease-specific information interviewed our National affiliate group leader, Pat Smith, President of Lyme Disease Association, Inc. to better understand current issues surrounding the diagnosis and treatment of Lyme disease. See all 9 segments at: www.contagionlive.com. Elevating awareness can help keep others safe and healthy; and will support those already impacted. Regardless of where exposure to tick-borne pathogens are occurring, many individuals, families and pets living in Colorado have been impacted by these diseases and the prevalence of many of these diseases continues to rise nationwide. The resources provided by COTBDAA are intended to ELEVATE awareness for the many stakeholders in Colorado by providing education, prevention, research and advocacy to keep our residents safe and healthy! Additionally, we are a place for those already impacted by Lyme and other tick-borne diseases to seek support and information. Change is on the horizon. Through the 21st Century Cures Act, passed into law in 2016, a task force was convened in 2017 at the national level to tackle the growing issues surrounding Lyme and other tick-borne diseases. The Health and Human Services Tick-Borne Disease Working Group was tasked to complete the first report to Congress by December of 2018. Researchers, scientists, managers, physicians, patients and advocates came together to complete this task. Monica White, President/Co-Founder of COTBDAA served as a subcommittee member on the Disease Vectors, Surveillance and Prevention Subcommittee, chaired by Pat Smith, President of Lyme Disease Association and Dr. Ben Beard of the CDC, Ft. Collins, CO. You may view all of the subcommittee reports and public meeting recordings here. The first report to Congress was submitted in November of 2018 and can be accessed here. COTBDAA does not provide medical advice. Use of this site is for information only. Please consult your medical provider before making any decisions about diagnosis or treatment. COTBDAA does provide patient support and access resources. Please do not hesitate to reach out! Check back often as we strive to bring the most current and helpful resources to you! Shop through this link to support COTBDAA. Use the promo code “INSECT814” and receive 15% off your entire order! Support COTBDAA with your tax deductible donation! Provide your outdoor employees, education groups and students with a Colorado Tick Talk! Learn how to protect yourself from tick-borne disease! Want to participate in furthering our knowledge of ticks and the diseases they may carry? Participate in the many research programs for tick and disease surveillance! News relevant to Coloradans both in state and Nationwide. As the prevalence of Lyme and other tick-borne diseases grow so should awareness! Help Support the COTBDAA with your tax deductible donation.